I will be taking a break from my NGO work in the Philippines to return to the DPRK and guide the Young Pioneer Tour’s Mt. Kumgang hiking tour! Pristine east coast beaches en route to Mt. Kumgang. Join us for our very first and adventurous hiking trip in the DPRK! This trip has been carefully laid out to not only include scaling beautiful countryside mountains with breathtaking views of North Korea but to also give you the best opportunity to explore cities that are rarely visited by foreign visitors during the year. Even if you’re not a nature lover or a fan of getting off the beaten track, this tour combines the must see sites of Pyongyang and the DMZ! The smaller cities in the countryside will all be accessed by bus taking the remote roads that will wind us through amazing sceneries of mountainous ranges, gorges, clear blue skies and let’s not forget the fresh air! Along our way we’ll be sure to stop off to have picnics in the most remote locations in the country. 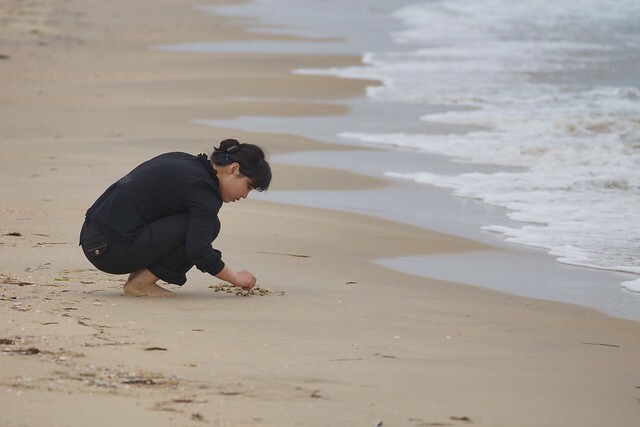 We’ll be visiting the west coast town of Wonsan, famous for its beautiful beaches. We’ll also check out Hamhung, the second biggest city in the DPRK, and stop off by a small quite town of Pujon and onto our highlight visit of Mt. Kumgang! So pack your hiking boots and your camera and get ready for an amazing hiking adventure in the DPRK! This entry was posted on February 27, 2014 by Joseph A Ferris III. It was filed under Young Pioneer Tours and was tagged with DPRK, North Korea, travel.